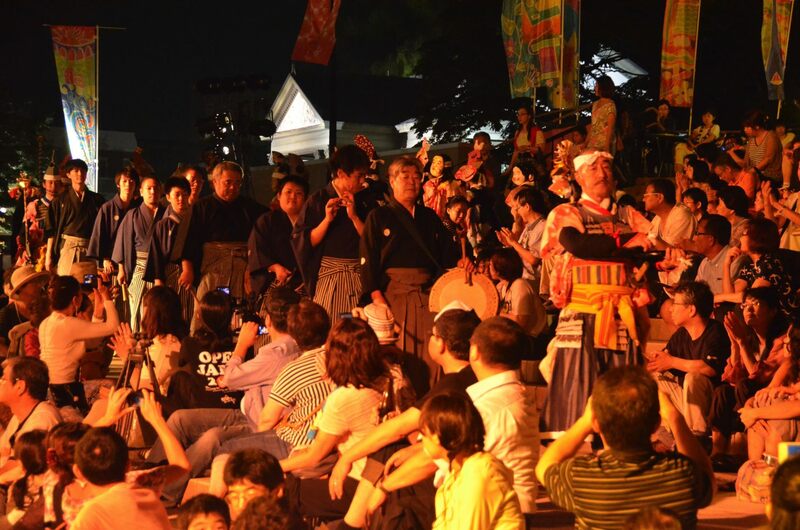 The Motomachi Park performances of this year’s WMF finished on a high. Thanks to all who contributed to making this our biggest day yet. It was standing-room-only for our closing ceremony on the Atlas Stage. As representatives of the international groups, we presented Toozalii with their certificate of thanks. 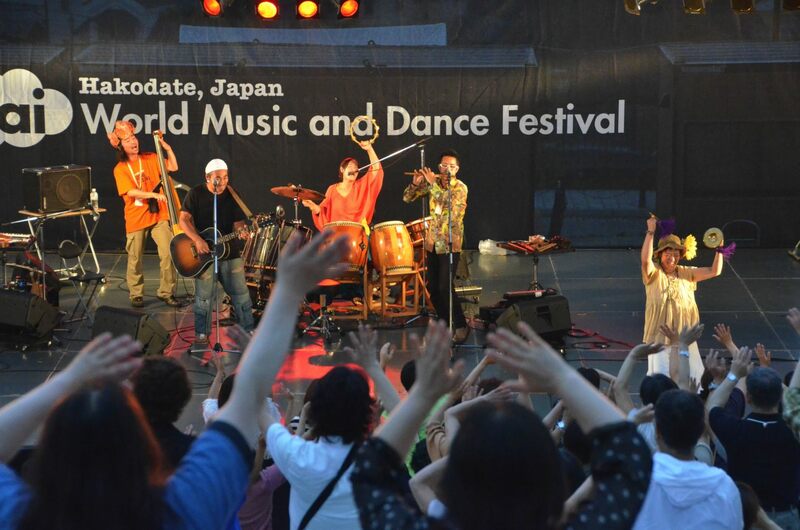 We then closed with world folk dance on the Bunda stage, led by Hinokiya. WMDF was a success thanks to the inspiration of the artists, MoguFes booths, staff, and of course the audience. We are already planning to welcome you back to an even bigger and better event next year! There may be schedule changes. 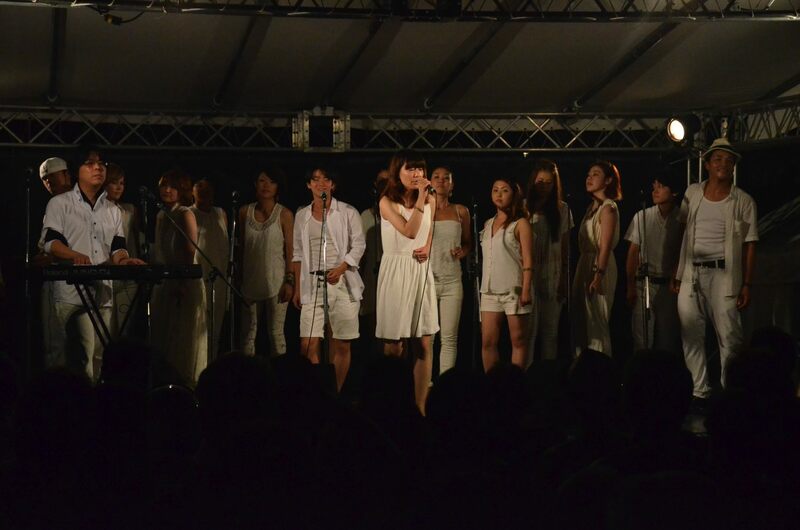 Already, we can announce that the Atlas stage performance of Hinokiya will be at 18:15, and Nakano Nanazumai Hozonkai will be at 20:20 (these two performances are swapped from the original schedule). 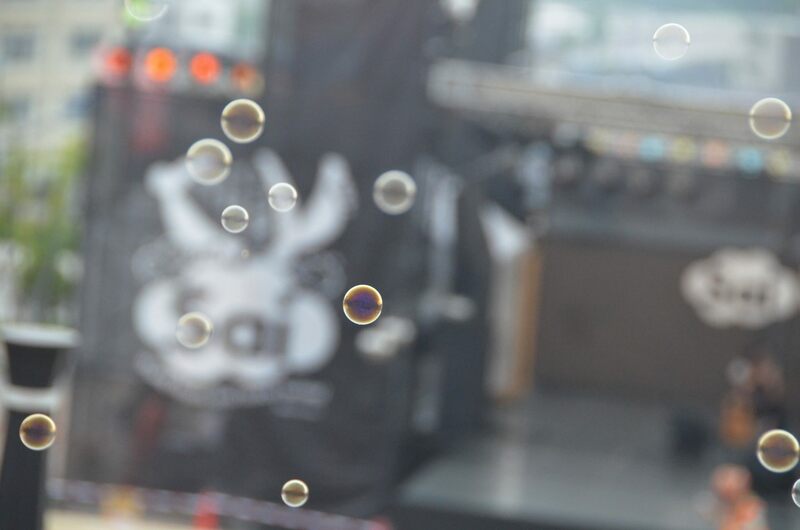 There may be stage cancellations due to electrical problems caused by the amount of rainfall. Some MoguFes booths may not run today. Audience members are asked to take special care of their footing in the park. We recommend that people bring towels, or materials to dry seating surfaces. Further announcements of schedule changes may be made in the park.